For many marketers and salespeople, it can often feel like every day there’s some new tip, trick or tactic that promises to be the one thing you need to supercharge your business. But, in our haste to stay on the cutting edge, we often neglect that one fundamental element that ties all of sales and marketing together. This might seem basic, but the truth is that there’s a startling number of businesses out there that haven’t even identified what their sales funnel looks like, and that is a huge mistake. For any business that wants to operate and succeed on the digital playing field, you need to know where exactly your leads are coming in, how they’re converting on your website and how you can improve your online marketing strategy. Your online sales funnel is your roadmap that illustrates the journey a person takes from being a visitor on your website (usually through their own searching on Google or paid online ads) to a customer. Without it, businesses are severely limited in their efforts to implement marketing and sales strategies that allow them to scale. With all that in mind, here are a few powerful tips to help you create an online sales funnel that converts. First things first, there is no one-size-fits-all sales funnel, even though each sales funnel follows the same basic template of awareness, interest, consideration, intent, and finally purchase. Whether online or not, every business’s sales funnel is unique to them and heavily dependent on factors like what their business model looks like, what industry they’re in and who their target audience is. 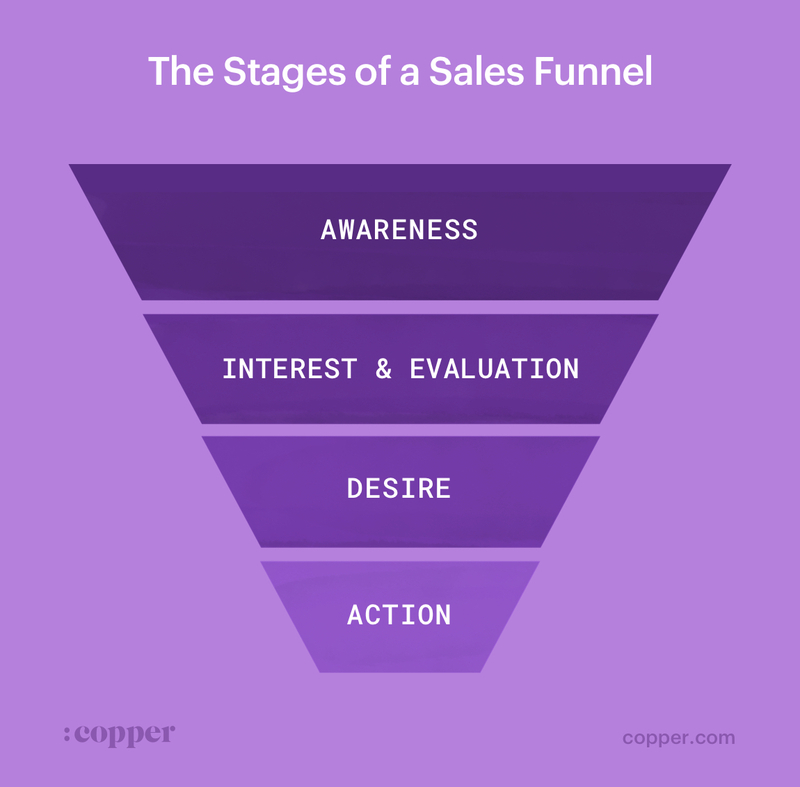 Depending on your business, you might only need four stages in your sales funnel or you might require several. While this sales funnel was highly effective for Yaro, the same sales funnel might be ineffective for a different type of business such as SaaS-based business or those that sell physical products. After analyzing his customer’s journey, Yaro found out that in order to build enough trust and authority for someone to purchase his final product (a private coaching session), his customers would need to go through multiple interactions before he can approach them with the final sale. The simplest way to create an online sales funnel that’s right for you is to first map out your customer journey and pinpoint every single interaction someone has to go through before becoming a customer. The important thing is that you’re taking the time to create a sales funnel that’s right for your business. Approach the development of your sales funnel the same way Goldilocks approaches porridge, furniture and bedding: you want one that’s just right. The very first metric you should measure is the number of leads that are entering your sales funnel over any given period of time. Quite simply, the more people that enter your sales funnel, the more customers your business should ultimately have. 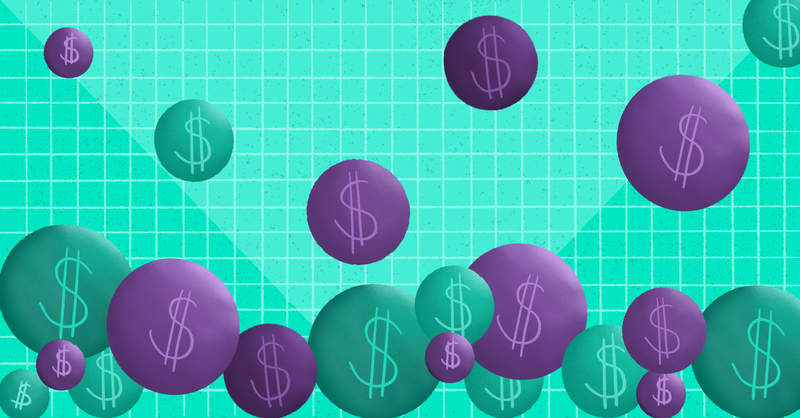 How you measure this particular metric depends on where exactly your sales funnel begins. For most online sales funnels, the entry point is usually defined by the amount of visits to the business’s website, with every visitor being considered a lead. Once you’ve defined what the entry point to your online sales funnel is and what can be considered a lead, you need to constantly track the number of leads you generate per month. This metric will allow you to measure the overall effectiveness of your lead generation strategy. As people move down your online sales funnel, many will naturally drop out for one reason or another, hence the narrowing funnel shape. However, you should still track the conversion rates for each stage of your sales funnel. This is key if you want to be able to reliably predict and forecast revenue (and keep your marketing and sales tactics as focused as possible). Your in-process conversion rates will also help you to quickly spot any opportunities for improvement within your sales process. For example, a low conversion rate from your “awareness” to your “interest and evaluation” stage could be a signal for issues such as low lead quality or leads not being nurtured enough. Pro-tip: The best way to build a powerful revenue-generating sales funnel isn’t to fill it with as many leads as possible, but to focus on constantly improving the conversion rates between each stage. Even improving your conversion rate by 1% can significant impact your overall win rate—grab a win/loss analysis checklist to see where you're winning or losing against competitors. Your funnel velocity rate measures the amount of time it takes for a lead to move through your entire sales process. With this metric, you’ll be able to gauge the health of your sales funnel and its worth to your business, as well as gain an understanding of the variables you should be focusing on to improve sales performance. 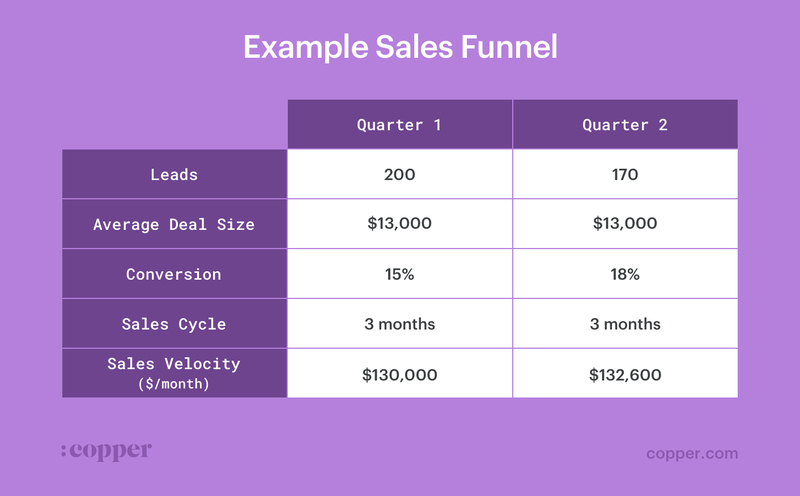 Notice how, in the above example, Quarter 2 has a higher sales velocity than Quarter 1 because it has a better conversion rate, despite having fewer leads. You can break it down even further and measure the sales velocity of each individual stage. By doing this, you’ll be able to measure how long it takes for a lead to turn in a qualified prospect and the amount of time it takes to convert an opportunity into a customer. This type of data is invaluable as it’ll help you see where the bottlenecks in your funnel are and which stages your prospects need more time in. This is a very important metric because it clearly shows the monetary value your sales funnel brings to your business. Plus, it also helps you measure other important metrics such as your Customer Acquisition Cost (CAC) and your customer’s Lifetime Value (LTV). Now that we have an understanding of the metrics you should be tracking, it’s time to put that data to use by further optimizing your sales process. Perhaps the biggest benefit of using a sales funnel is how it gives businesses the ability to improve their sales process by pinpointing specific areas where they might be losing customers. Before you can fix anything, you need to know where the problem is in the first place. You can do this by comparing the conversion rates and sales velocity of specific sales funnel stages. For example, you might find out through analyzing your conversion rates that only a small percentage of leads are moving from the awareness to the interest stage. Or, through analyzing your sales velocity, you discover that prospects aren’t spending enough time in the consideration stage before being approached by the sales team. Once you’ve identified where you’re losing customers, you can start working on fixing that problem. Step #2 - What’s the problem? Now that you know where you’re losing leads, it’s time to look at why. Keep in mind that there are multiple reasons a lead might drop out of your funnel—it can be anything from poor UX design to having a weak call to action. To find out what the problem is, you'll have to dive deeper into your data and pay close attention to how your customers are behaving as they move through your sales funnel. Using a tool like HotJar, you can create heatmaps (a data visualization tool designed to help you which areas of your website your audience is responding to the most) to identify how customers are interacting with specific landing pages and if there are opportunities for improvement. For example, you might discover that many leads are leaving your site right away after visiting a specific landing page. After analyzing that page, you might discover that the load time is a little slow, the pricing isn’t displayed clearly, or you don’t have enough social proof. Identify as many potential problems as possible before moving onto the next step. The next step is to put your theories to the test by running an A/B test. An A/B test is a simple experiment that involves creating two versions of the same asset and comparing them against each other by seeing which one performs better. The differences between the two versions can be really simple (such as changing the color of your CTA) to the more complex (like sending a lead down an entirely different content funnel). A/B testing is a super simple process that allows you to experiment with different tactics and strategies within your sales funnel and gain quantifiable and actionable results. Pro-tip: When you’re A/B testing, change only one variable at a time. For instance, don’t test a different CTA color and a different headline and a different image. Even if you do find differences in the conversion rate, you won’t know which change was the reason for it. The important thing to keep in mind when it comes to online sales funnel optimization is that it isn’t a one-and-done activity, but an iterative process that focuses on continuous improvement. While it can seem like the progress you’re making is microscopic in the greater scheme of things, when you take a closer look you’ll see that every single improvement, no matter how small, all adds up to a big result. As you can see in this infographic by Coast Digital, even improving the overall conversion rate of your sales funnel by 1% can drastically increase the amount of revenue that comes your way. Whether you’re a B2C or a B2B business, one of the most important elements of any successful online sales funnel is its ability to consistently nurture leads at every stage. And one of the biggest mistakes businesses can make is to constantly push for the sale, regardless of whether or not a lead is ready to buy yet. Not only does this drive away a potential customer, but it also greatly damages your potential to reconnect with that person at a later date. While it might seem counterintuitive at first, taking the time to nurture your lead (instead of pushing them to purchase immediately) actually generates more revenue in the long run and improves your sales velocity. According to a DemandGen Report, businesses that take the time to grow and nurture their leads see 50% more sales at a 33% lower cost. The key to building a robust lead nurturing strategy is to integrate content marketing into your sales funnel. According to Aberdeen, businesses that are able to provide prospects with content relevant to their position in the buying process achieve a 72% higher conversion rate in comparison to businesses that don’t. 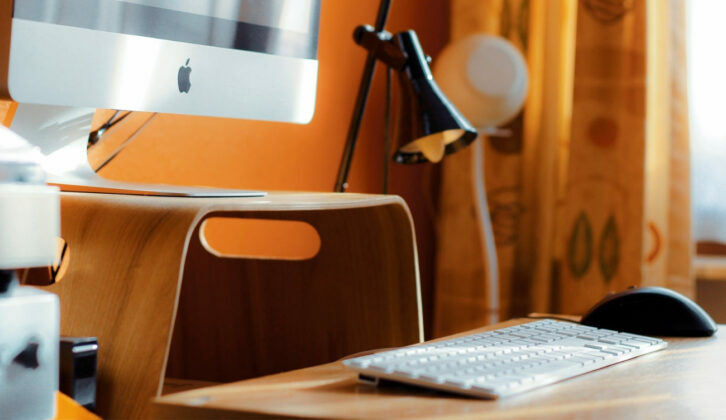 Another way to ensure that you’re continuously nurturing a lead and providing them with relevant content is to take advantage of email marketing. Email marketing has consistently been proven to produce the highest ROI out of all the digital channels available to marketers. Personalize your email marketing by segmenting your email list based on the actions they take with your business. For example, if someone has downloaded a lead magnet, then you know that they’re interested in that particular topic and you can further that customer relationship by sending them similar content. Even when someone has reached the end of your sales funnel, you should never stop nurturing. Continue delighting them with valuable content to turn a one-time customer into a lifelong one. Without a doubt, the most powerful online sales funnels out there take advantage of automation as much as possible. An effective sales funnel is one that simplifies the sales process by reducing the amount of time-wasting and labor-intensive activities typically associated with closing a deal. When set up correctly, your sales funnel can become an automatic selling machine that’s constantly working in the background to bring in more customers and generate more sales. The good news is that you don’t need a whole host of different tools to automate your workflow; all you need is a powerful CRM. Even better news: you can introduce automation at every stage of your sales funnel. 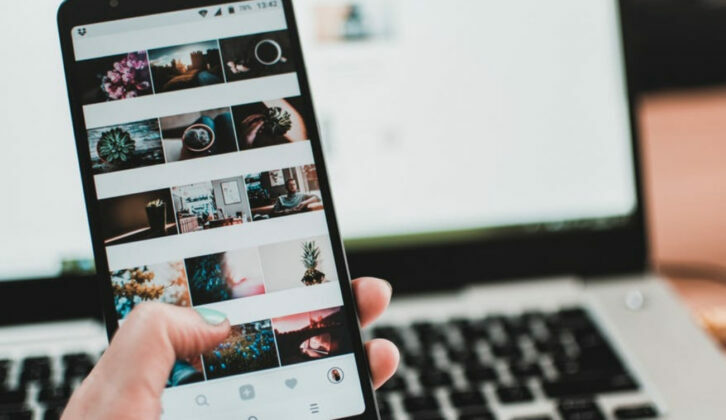 For example, you can automate much of your lead generation efforts such as the promotion of your content on social media and even finding and reaching out to marketing-qualified leads with tools like Buffer and NinjaOutreach. Another way to take advantage of automation is to use your CRM to create a drip campaign that automatically re-engages with a lead if you haven’t heard from them in a while. This is just the tip of the iceberg—there are countless ways you can streamline your entire sales funnel through automation. At the very end of the day, understanding what your online sales funnel looks like and how it works is instrumental in improving your online sales process and increasing the effectiveness of your digital marketing strategy. Once you’ve taken the time to develop your online sales funnel you’ll be surprised at how useful it can be in helping you understand where your leads are coming from, what parts of the sales process need improvement and how to generate more leads and sales.